Beveridge & Diamond welcomes Raymond (Rusty) Pomeroy to our New York office as Of Counsel. 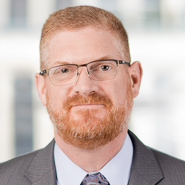 Rusty rejoins the Firm from General Electric (GE) after serving since 2007 as Global Environmental, Health & Safety Leader and Environmental Counsel for GE Capital’s commercial real estate business. Developing and implementing corporate environmental risk management policies and procedures. Rusty originally joined the Firm as an associate in 2003. Prior to joining Beveridge & Diamond in 2003, Rusty served four terms as the Chief Elected Official for Sullivan County, New York, and was a New York State licensed realtor and insurance broker.